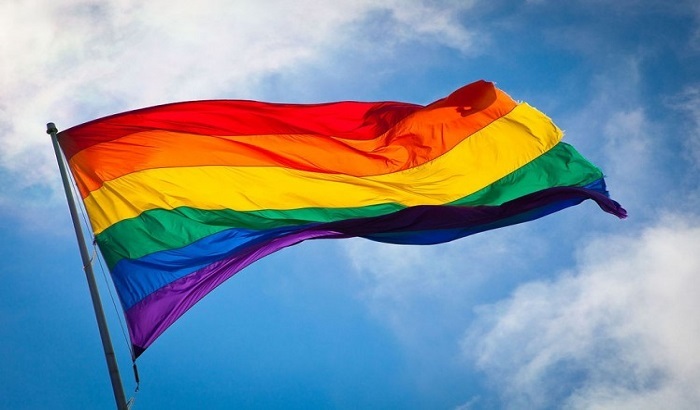 A rainbow flag has been raised outside Bradford’s City Hall to mark the start of LGBT history month 2019. LGBT history month is held in February each year to celebrate and recognise LGBT people and culture, past and present. This year’s theme is Peace, Activism and Reconciliation. Bradford Council’s Youth Service will be marking the month with a series of youth group sessions focussing on LGBT+ themes. LGBT+ includes people who are ‘queer’, ‘questioning’ and other different ways people may define their gender and sexuality. The Youth Service sessions during February will also include the Colours Youth Movement group, aimed at LGBT+ young people who are from black and minority ethnic groups. West Yorkshire Queer Stories, a collaboration between Brick Box Rooms and Leeds Queer Film Festival, is hosting a night of queer short films from 7.00pm on Thursday 14 February at The Brick Box Rooms on Ivegate, Bradford. At the same venue, Brick Box Rooms will be hosting their own ‘Strike a Pose’ night, with a film screening, vogue dance workshop and party. This will be from 7.00pm on Saturday 16 February. Bradford College is providing a programme of films, documentaries, exhibitions and workshops. A highlight will be a lunchtime screening on Wednesday 13 February of the documentary Invisible Women, ‘the story of two LGBTQ revolutionaries’. This will be followed by questions with Angela Cooper, one of the extraordinary women featured in the 25-minute film. The sexual health charity MESMAC will provide a number of information events, workshops and training throughout the month, at venues including Bradford Council, Bradford College and the University of Bradford. Coun Richard Dunbar, Bradford Council’s LGBT+ Champion, said: “In Bradford, yet again, we prove what an exciting, vibrant and welcoming district we are, with this programme for LGBT history month. There is something for everyone: film screenings, debates, plays and even a vogueing workshop! “The golden thread which runs through our month of activities is an understanding of the struggles that the LGBT+ community has endured, but also a celebration of what we have achieved. That is why we place so much emphasis on support groups to ensure those who need the help have someone to turn to.